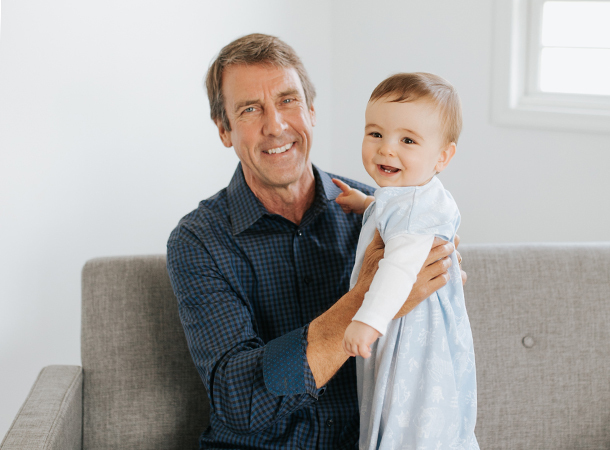 Our mission is to make simple, innovative products that make safe sleep easier for you and more comfortable for your baby. 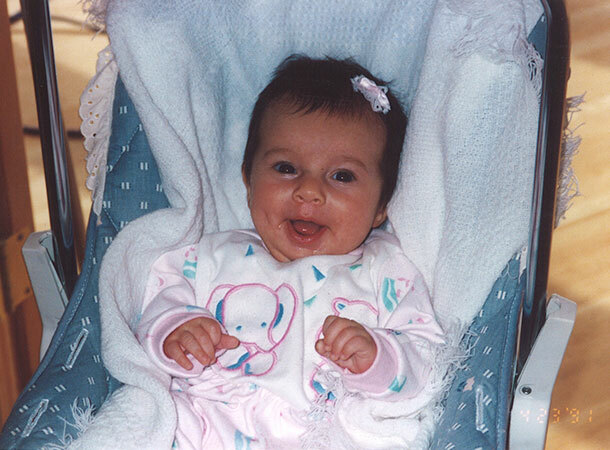 In 1991, Bill Schmid and his wife Cathy suffered an unspeakable tragedy when they lost their infant daughter, Haley, to Sudden Infant Death Syndrome (SIDS), which is the sudden, unexplained death of a seemingly healthy infant up to an age of one year. After the loss of his daughter, Bill began an exhaustive review of the latest medical research and health recommendations for creating a safe sleep environment for babies to help ensure other families would not have to endure the same tragedy. As a professional engineer, Bill devoted himself to finding new and creative ways to address sleep environment risks, which are primarily centered around loose bedding. Bedding can accidentally cover a baby’s face and interfere with breathing. With these risks in mind, Bill formed HALO Innovations and created the HALO SleepSack Wearable Blanket, which is intended to eliminate the likelihood that a baby can get entangled with clothing and loose bedding during sleep. The SleepSack wearable blanket is sleeveless and is worn over pajamas or a bodysuit to take the place of loose blankets. 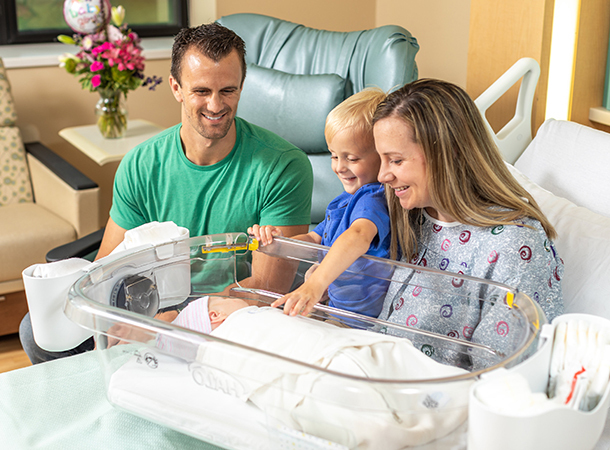 Since its launch, the HALO SleepSack brand has become the nation’s bestselling wearable blanket for babies and is widely used by hospitals nationwide. As an advocate for safe sleep education, Bill realized that safe sleep education was not adequately reaching all parents. In fact, parents were often receiving mixed messages from the nursing staff in hospitals as they were telling them how to practice safe sleep at home but not demonstrating safe sleep in the hospital. Studies show that modeling the proper safe sleep guidelines is the most critical in changing parent’s behaviors. Recognizing this, Bill launched the HALO Safer Way to Sleep Hospital Modeling Program which provides free HALO SleepSack wearable blankets, training and educational tools to help hospitals educate parents about safe sleep. To date, the HALO SleepSack Swaddle is used in over 1500 hospitals and growing throughout North America. To fulfill our mission, we listen, re-think, and use smart innovation to develop safer and better products for babies and children. This is most evident in the development of our Bassinest Swivel Sleeper for the hospital and at home. This revolutionary bassinet moves to allow parents to sleep close to their baby, while still maintaining a safe sleep environment for their child, reducing the risks associated with bed-sharing. In addition to our efforts to work with the healthcare community to promote safe sleep education, HALO has partnered with leading infant health and safety organizations to support our mutual interest in educating parents to keep all babies safe. In fact, a portion of all purchases of HALO products is used for this purpose. To date, we are proud to have donated more than $5.4 million in our mission to help fight SIDS.